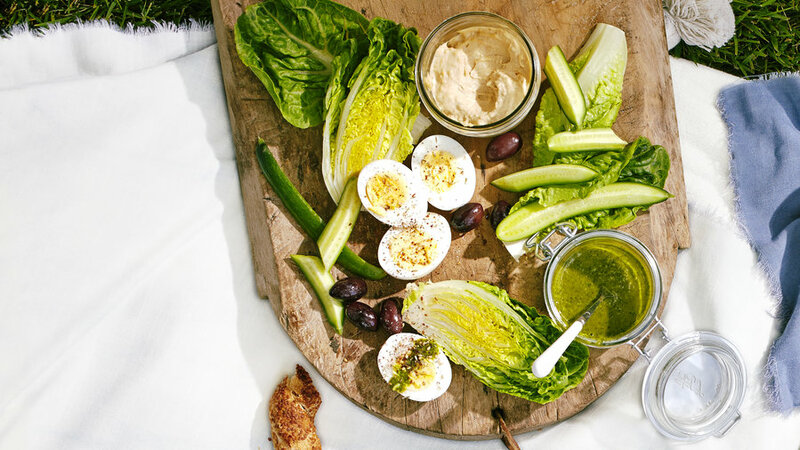 Zataar is a delicious herb-and-spice blend that's perfect for sprinkling atop a meze platter, while this green sauce—inspired by the flavors of falafel—acts as a delicious vinaigrette dipping sauce. A Middle Eastern spice blend, zaatar has a slight citrus note that goes well with vegetables. Enjoy the flavor combo in this no-utensils-required dish. 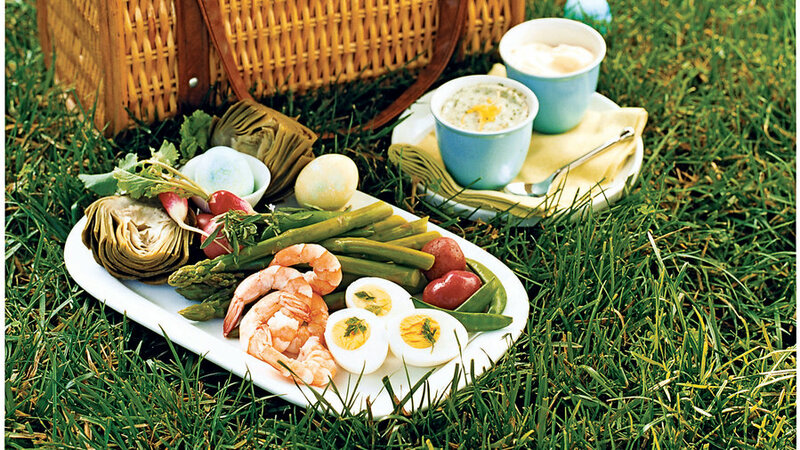 Andrea Slonecker, the Portland-based author of Pretzel Making at Home (Chronicle, April 2013), is an avid picnicker. With some like-minded friends, she formed the Portland Picnic Society, and created this recipe for one of their recent outings. To prepare this recipe for a picnic, bake the bread ahead of time and let cool; then pack the crostini, the topping, and the anchovies separately. 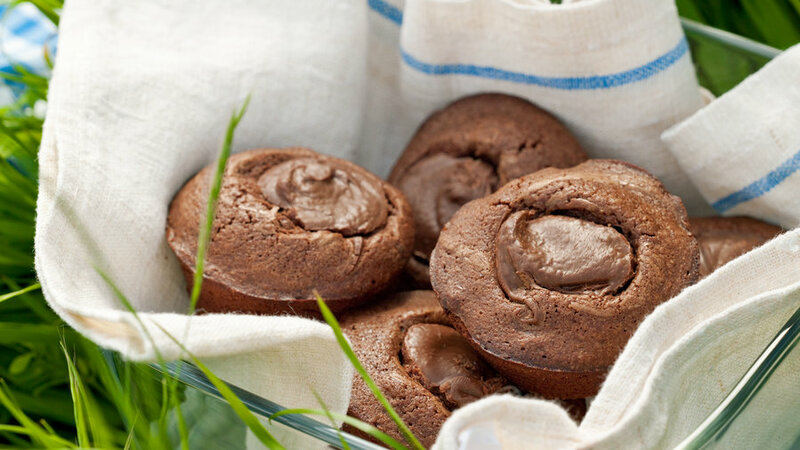 Also by Andrea Slonecker, this recipe will delight your fellow picnickers. Bake the bread ahead of time and let cool; then pack the crostini and the topping separately. 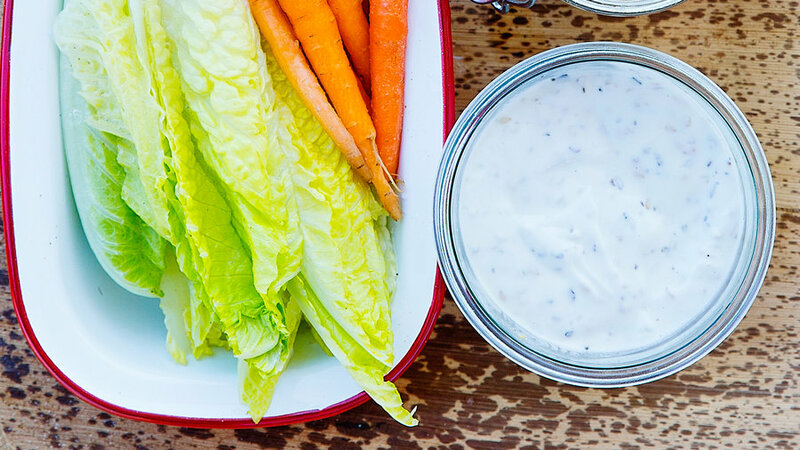 Savor the season with a fast and fresh picnic of crunchy veggies with zesty dip. 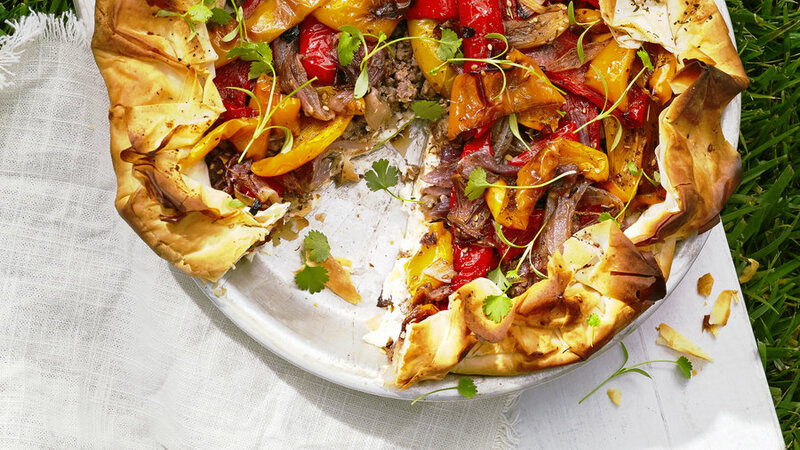 Layers of creamy cheese and roasted vegetables in a pastry make this pie a home run. To keep the filo crisp, wait until it’s completely cool before covering it with foil and packing in your cooler. Be sure to pack a sharp knife and a pie server. 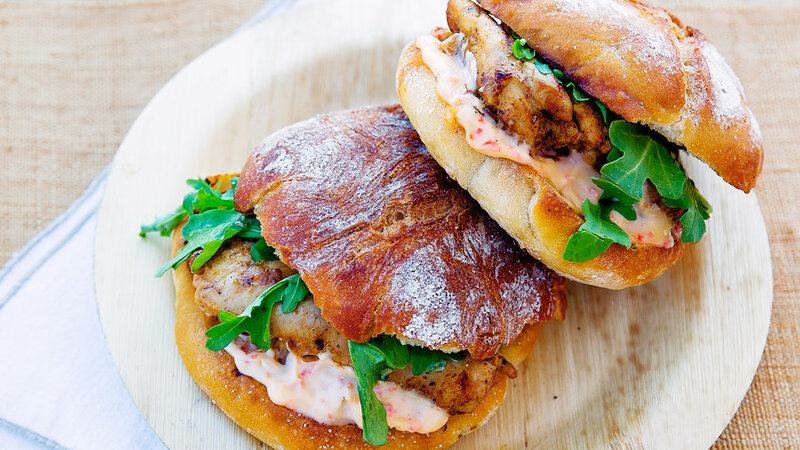 The sandwich gets a flavor boost from charmoula, a versatile chicken marinade. 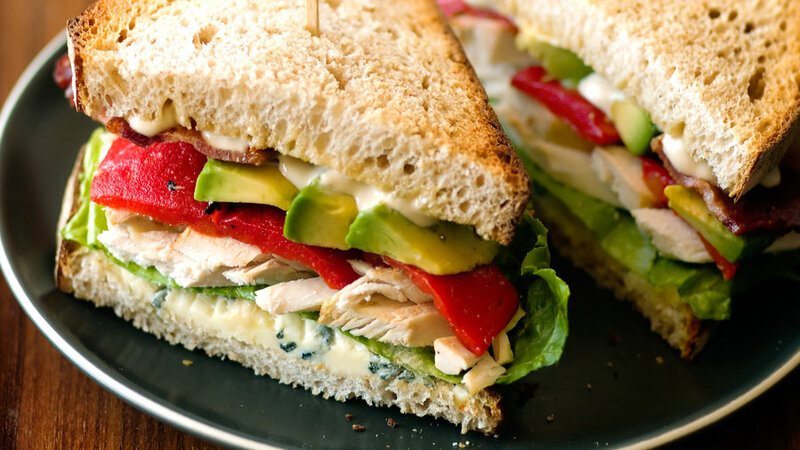 Chicken salad is always a favorite. We prefer ours with crisp, smoky bacon and tangy blue cheese. 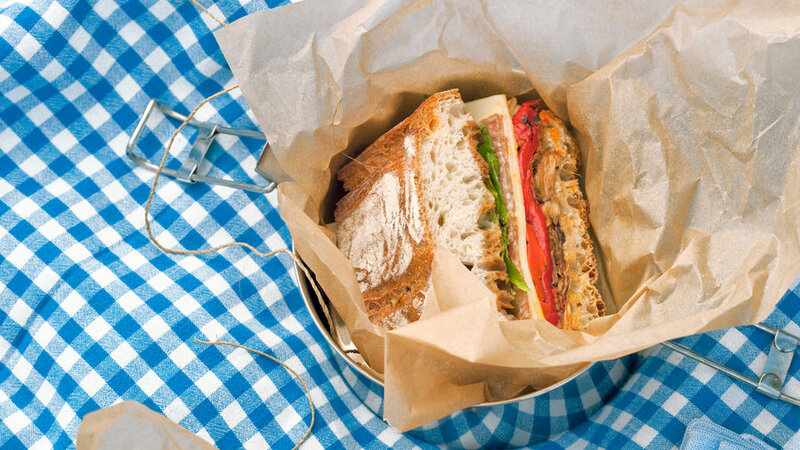 The vegetables in these sandwiches don’t get soggy as they stand, and the flavors benefit from a little time together. 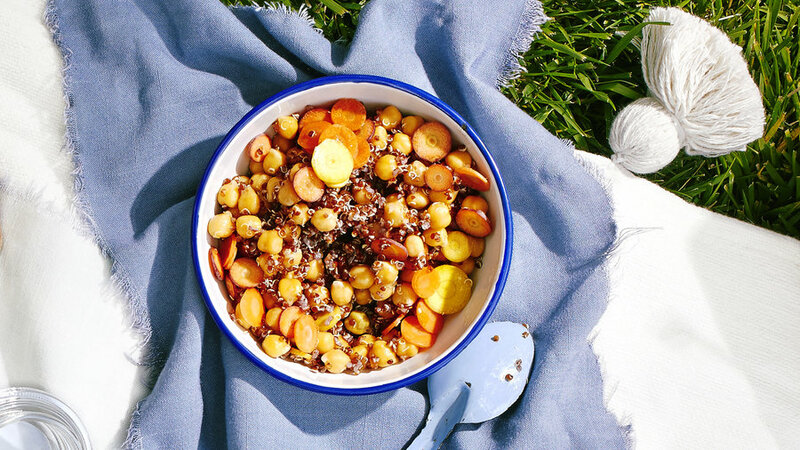 This healthy salad is picnic-perfect, because the carrots stay crunchy and the quinoa and chickpeas keep their texture. (Regular quinoa works fine in this recipe, if you can’t find the red variety.) 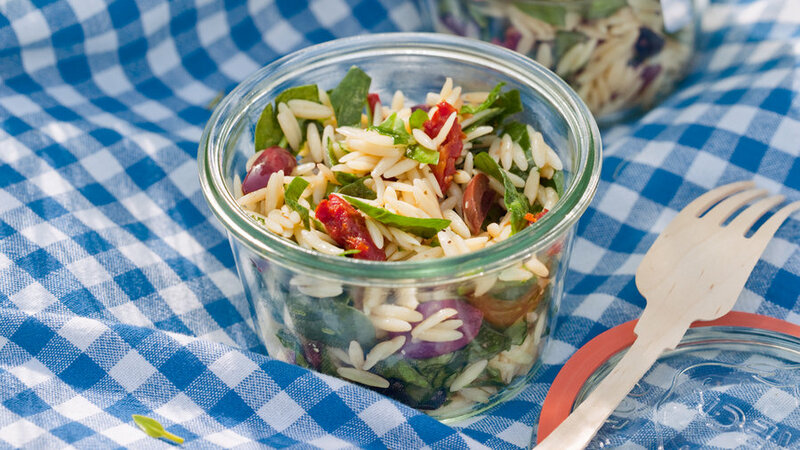 This salad is delicious at room temperature, so if you’ll be eating it within 2 hours, there’s no need to pack it in the cooler. Quinoa is super easy to cook (easier than rice) and makes a wonderful salad base. This herb vinaigrette-dressed pasta salad keeps better than a mayo-based one from the deli—and tastes better too. 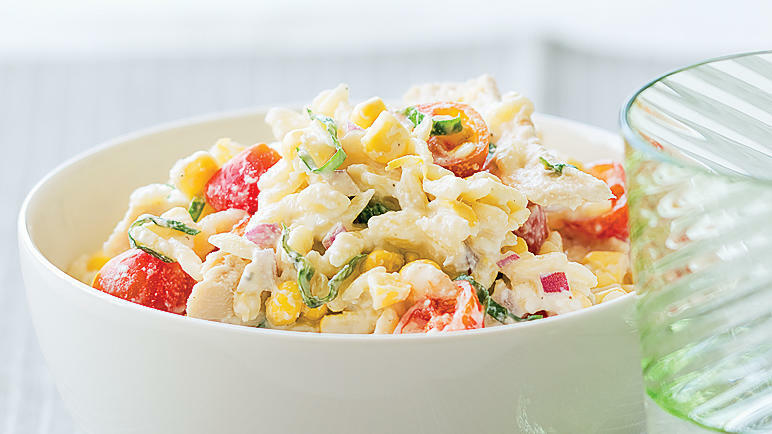 This easy pasta salad gets its creaminess from ricotta and sour cream for extra cheesy tang. 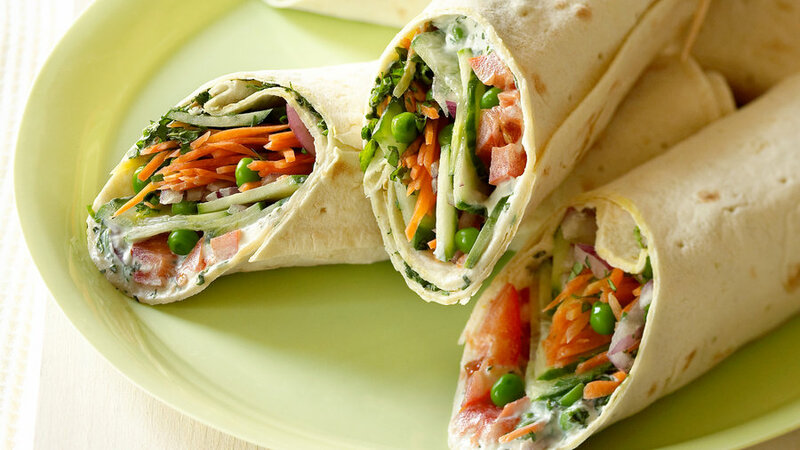 Substitute your favorite vegetables to add variety. 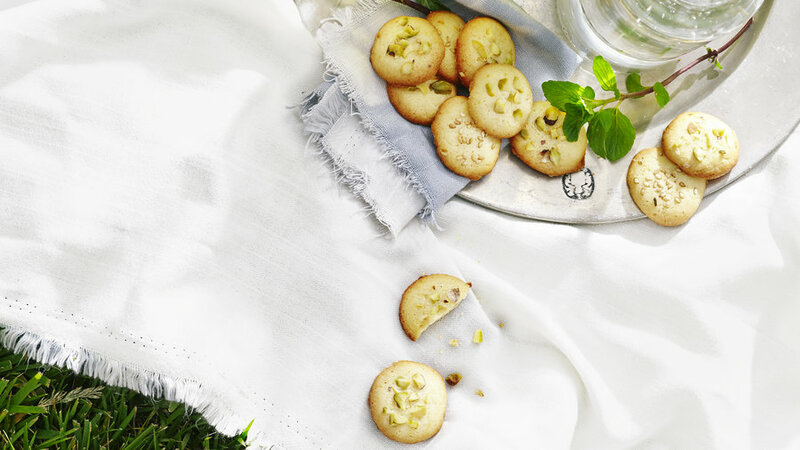 Hints of cardamom, orange, sesame, and pistachio provide a final Eastern Mediterranean flourish to the picnic. They’re so small, you can eat them by the handful. Pack cookies in an airtight, crushproof container. 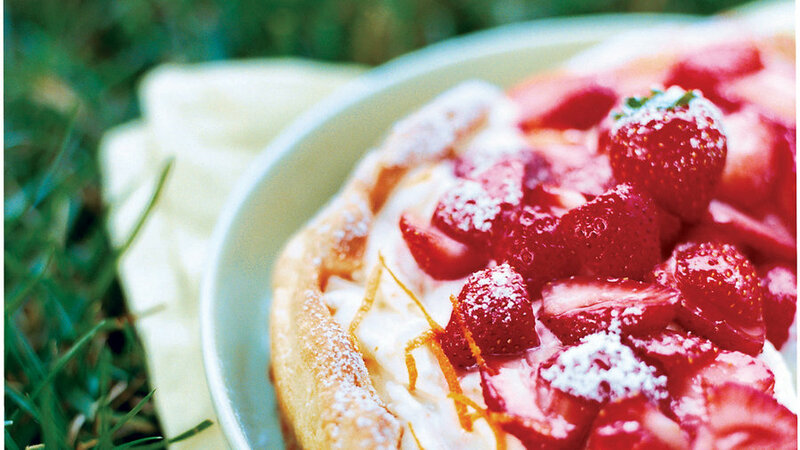 Strawberries layered over orange-flavored filling in a cream puff crust makes a showy yet easy dessert that travels well. 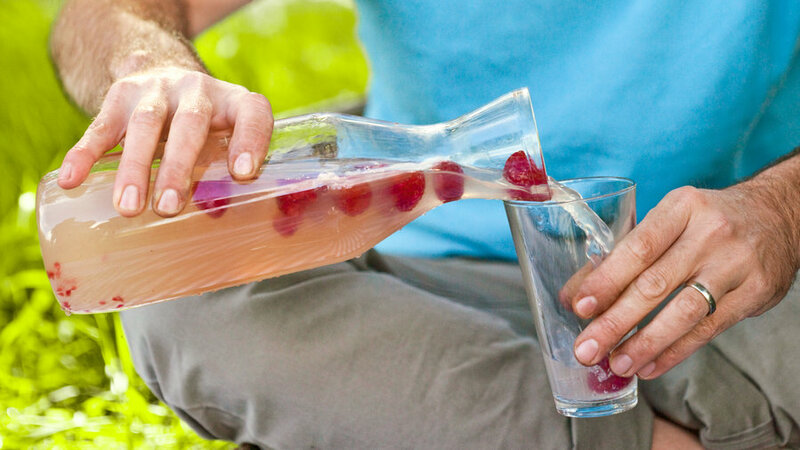 For the most thirst-quenching drink, look for a less-sweet brand of lemonade such as Santa Cruz Organic. 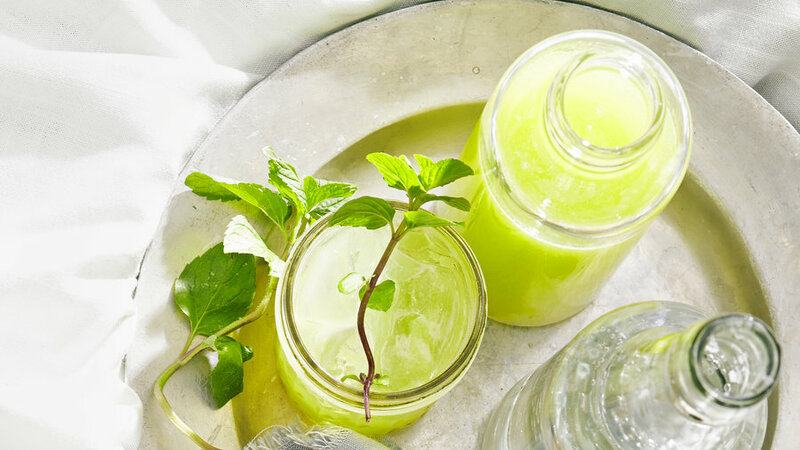 This is just as refreshing as the usual melon wedges, without the sticky fingers. Orange-flower water adds a hint of the exotic. Tote the purée in a clamp-top bottle, and don’t forget ice for glasses. 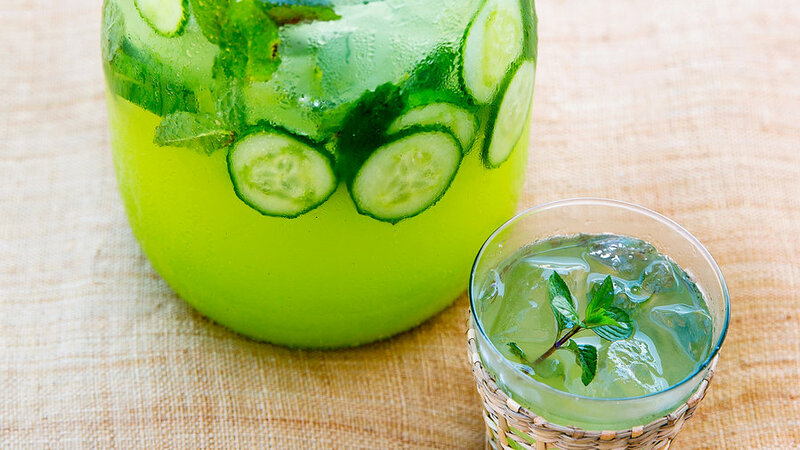 Make the cucumber mixture ahead of time and top it off with ice and club soda (or even Champagne).